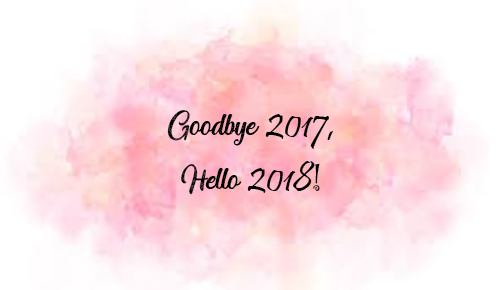 This year, I'm keeping some of my failed 2017 goals, but I'm also introducing new resolutions. So, what do I want to achieve in 2018? I want to read 70 books. I've been aiming at this number for three years now because I need to tackle down my TBR pile of physical books and e-books. 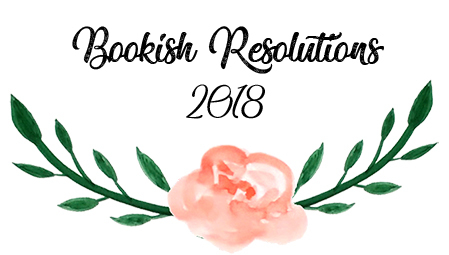 I'm even joining Beat the Backlist 2018 to do it. Also, I'm hoping to read at least ten retellings (because I love retellings I've a huge number of unread ones on my TBR pile; it's a number that needs to decrease). I want to read 50 pages per day. Let's hope this year I can keep up with 50 pages per day. I was doing great last year, until May/June came and I did not have the time to do it any more because of uni. I'LL TRY NOT BE INFLUENCED BY THE HYPE. This will be a difficult one. It's really difficult not be influenced by the hype when a community is shoving down a book down ours throats. How can I resist a book if everywhere I look it's there?! But I promise that I'll try. I'll try to review one third of the books I read. A book blog that lacks books reviews. 🙈 I swear I always take notes when I'm reading and I plan on writing the reviews, but then I find myself not having the time to do it. Thus, to write more reviews, I need to improve my time management.There is always so much to do because of uni that I always end up struggling to get everything done. To become even more involved in the book blogging community. Thank you Evelina @Avalinahsbooks for creating two supportive groups and inviting me to join. To have fun. Blogging is a hobby and that's something I will try not to forget this year. I blog because I like sharing my thoughts on books. Blogging should not be a source of stress. This year, I'll attempt not to stress about my stats or about not publishing something new every day. Great goals! I also should probably cut back on book buying, but it's such a hard resolution to keep! Thank you. :) It will be one of the most difficult resolutions to keep. How will can someone resist all those new releases?! And yes, the most important thing is to have fun. I hope you acheive all your goals this year! Thank you. I hope you can achieve all your goals this year too. Having fun is always the most important thing. Happy New Year! Those are some great goals, and I hope you're able to accomplish them! Time management is one of my problem areas, too--posts take longer than expected! Happy New Year Kester! ;) Thank you. I'm awful at time management. I try to get everything ready on time, but I always fail. Aww, thank you for following me (and make me one step closer of reaching one of my goals). Good luck reaching your goals :) I need to cut back on buying books too, I always forget the library exists, perhaps that could help? I hope 2018 is a great year! Thank you. :) Libraries are always perfect to cut on buying books. Sadly, where I live, libraries have no books in English. Fantastic goals! I have done well with the not buying books thing. And like, here's the thing with requests, just do it. If they say no, they say no. I get lots of NOs, but I also get lots of Yeses. Today I got declined for Starry Eyes, which is one of my most anticipated reads, but they Harper showed me so much love and approved me for a bunch of my other anticipated reads. I am not going to pretend like I was't disappointed, because I was. You win some, you lose some, but if you don't make any requests, you won't get any approvals. Good luck with all your goals!! Thank you Sam. I hope I do well with not buying books that I won't be reading. I must be more careful with what I buy. Thank you for the encouraging words too. <3 A "no" is not the end of the world. If I get the review copy, great. If I don't, I'll just have to move on and not to think about it too much.